Inspired by wanderlust and city dust, we traveled to Los Angeles to shoot our Spring 2018 collection. The Los Angeles Arboretum & Botanic Garden and Venice, California made our final cuts, but there was plenty of other places we stopped to smell the roses. Below, are our favorite spots to escape to nature near The Big Orange. Head to Griffith Park and spend the day hiking or you’re feeling extra adventurous, rent a bike at Spokes ‘N Stuff and take the scenic route to Wonder View Trailhead, stopping at the Wisdom Tree, the Hollywood Sign, Bronson Caves and the Griffith Observatory before the sun goes down. After sunset, head to a show at the Greek Theatre, an outdoor music venue into Griffith Park. 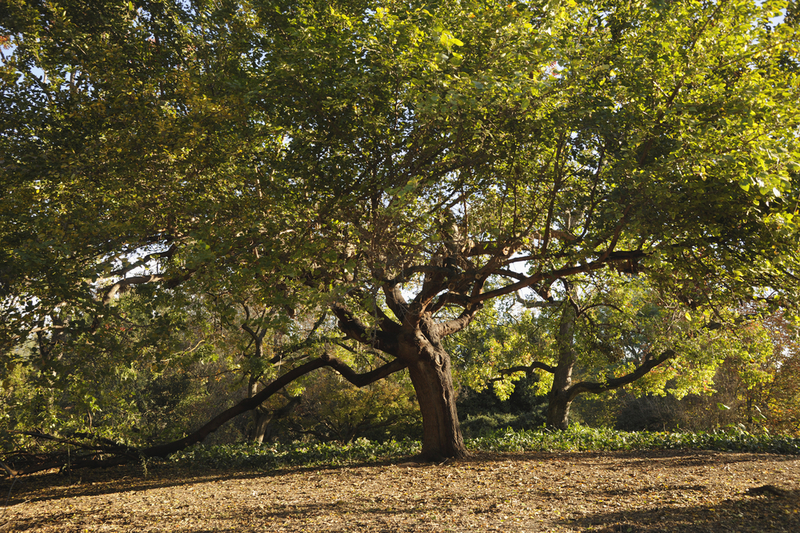 Experience the set of our shoot firsthand at the Los Angeles Arboretum & Botanic Garden. With 10 gardens, five biogeographical collections, a waterfall, a lake and a pond, there’s easily a day’s worth of exploration. Craving more? 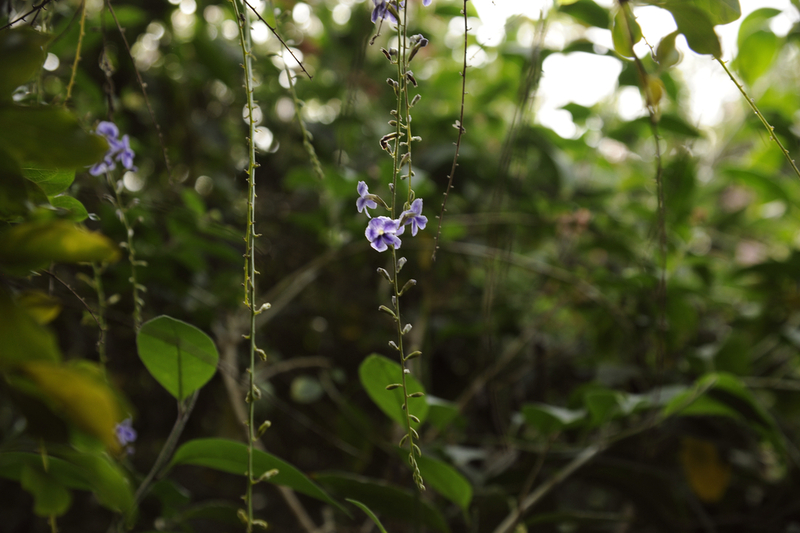 Chase the waterfall at Eaton Canyon or take a tour of the nearby nature center’s diverse plant life. Start at the Getty in Pacific Palisades. Explore the Central Garden but don’t miss the art and architecture. Just down the road, the Los Liones Canyon Trailhead offers a variety of hiking trails with a great view of the Pacific. From there, head south along the coast to the Eames house, where mid-century modern lives amongst the trees. Relax under the palms at Venice Beach, then continue to the Ballona Wetlands Ecological Reserve to see exotic plants alongside resident wildlife. 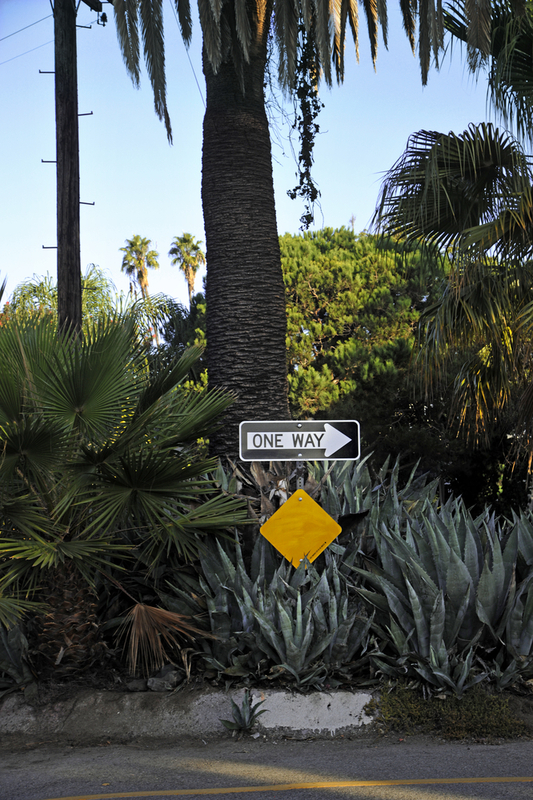 Let Exposition Park enchant you for a day. Originally deemed Agricultural Park, it offers expansive outdoor space. Start at the Natural History Museum, which boasts a vast collection of artifacts as well as substantial Nature Gardens. If you’re still knowledge-hungry, check out the California African American Museum and the California Science Center, both conveniently located within the park. Finish the day with a stroll through the Rose Gardens. While the city has a lot to offer, we love the relaxation only nature can provide. If you don’t have time for a day trip but need a quick respite, the James Irvine Japanese Garden is a nature oasis in the heart of the city. You can also grab a bite at Commissary, a greenhouse converted into a restaurant in Koreatown. Wherever you may be in Los Angeles, you can find natural inspiration like we did just moments away.